Last month, I had the good fortune to meet with Turkey’s best selling woman author, Elif Shafak in London. Author of 13 books (9 novels), please see my interview with her in the Irish Times HERE or click on the image below. 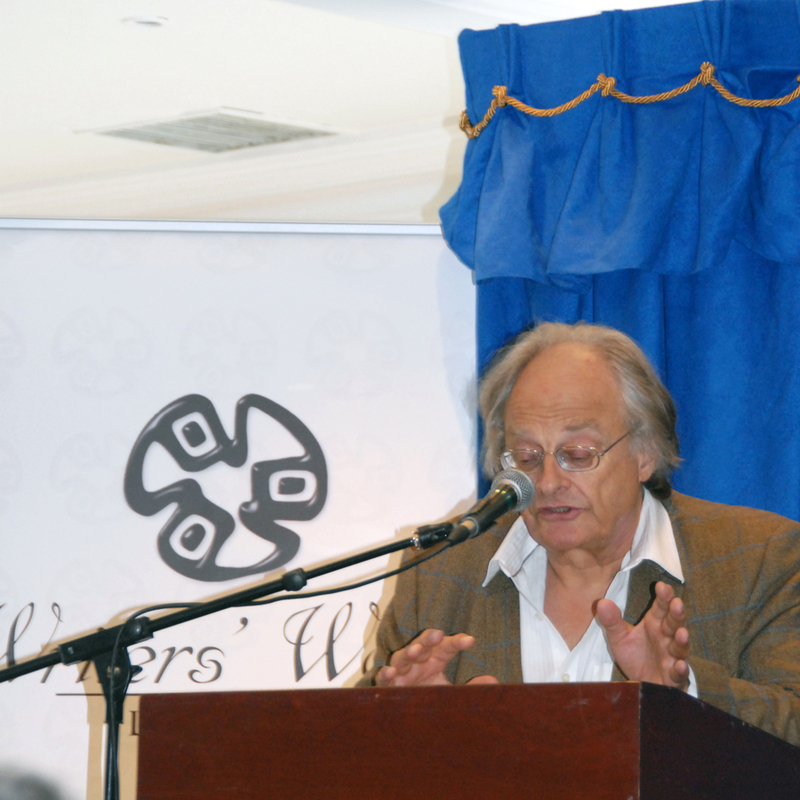 Going to Listowel Writers’ Week has been on the wish list for years. Like seeing Paris before you die, it’s a given that if you’re interested in literature or arts festivals, or both, at some point you’ve got to treat yourself to a trip into the green lushness of Kerry in early summer to one of the longest standing festivals in the country: Listowel. Some people say once you go, you’ll be back every year: Irish Arts stalwart Seamus Hosey, for example, was celebrating his 40th Anniversary at the festival this 2105. My own reason mostly had to do with the fact that the festival had co-sponsored a week’s wonderful stay at the Cill Rialaig Artists’ Retreat Centre near Ballinskelligs – and it was at that retreat that I largely finalised the first draft of my short story collection, Waiting for the Rain. My ambition was to read a something from that collection somehow, somewhere – at Listowel Writers’ week this year. Happily, friend and author Susan Lanigan had also decided to travel down, and so with Susan in the driver’s seat for the road trip, we braved busy Bank Holiday weekend traffic and I read through the event’s schedule. 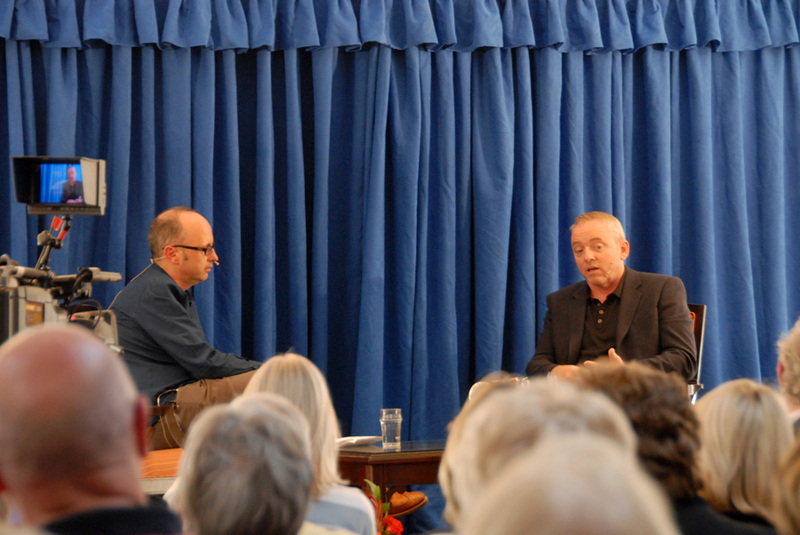 The programme for 2015 was a broad-reaching offering that hosted not only readings and interviews, but live theatre and valuable writing workshops in almost every aspect of literature, given by top novelists , short story writers, poets and dramatists. There were also musican and drama performances. To kick off the festival, Anne Enright and Colm Tóibín presided over a launch evening that included the presentation of literary awards to the tune of a €35,000 prize fund. 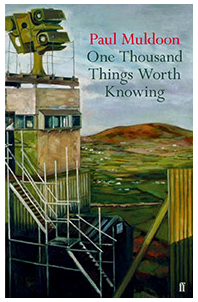 This year, the Kerry Group Irish Novel of Year Award was won by Eoin MacNamee for Blue is the Night and The Pigott Poetry Prize was won by Paul Muldoon for One Thousand Things Worth Knowing. 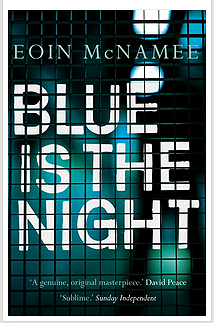 Dennis Lehane provided a welcome, high-octane shot of Irish American wit and wisdom on Friday night during his interview with Jim Carroll, something I really miss from my New York days. What I really wanted to ask him was, “who gave Seán Penn the line about Barry’s Tea in Mystic River,” but I tackled him instead on a reference he had made to the stereotyped image of Ireland as a nation in the U.S. instead. 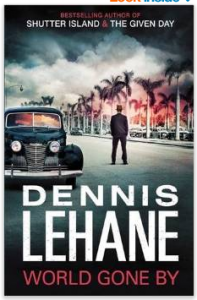 Lehane’s new book, World Gone By, is set in Cuba during WW2 and sounds like classic Lehane: bloody, complex, with gang rivalries and personal conflicts at its heart. No stranger to cutting edge television crime drama (e.g. The Wire), Lehane’s latest project is a very amazing sounding adaptation of Love Hate for the U.S. market: this time it’s set in Hawaii. Can you see Nidge with a tan and mirror shades? The charm of Listowel as a festival quickly becomes evident: with everything very immediately available from the nucleus of the town square (theatre in the old church in the centre, events/hanging out at the Listowel Arms Hotel, etc) it’s got a very snug feel. You’ll see backpackers and old timers side by side in the street, as well as the writers and performers that are part of the programme. The range of events are attended by discerning audiences that provide the speakers with usually cogent and interesting questions. There was so much going on, it was hard to get to see everything, but I really enjoyed the lecture by seasoned war journalist Patrick Cockburn. 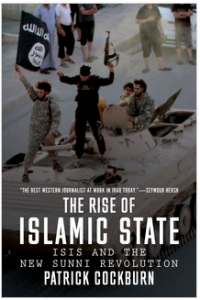 Originally from Cork and currently Middle East Correspondent with The Independent, he spoke of life under Islamic State, where currently citizens living under their regime are being controlled literally in all aspects of their lives, from women being forced to marry ISIS soldiers to even the very rules of children’s games. 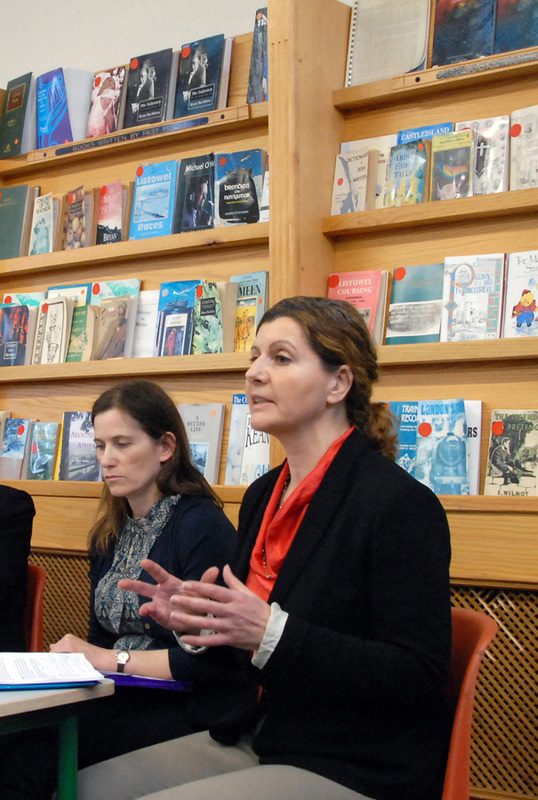 The Irish Writers’ Centre has been broadening its parameters of late, and one of the more interesting discussions was one called Mindshift: Introduction to the Business of Being a Writer event on Saturday, supported by WORDS Ireland. Moderated by Valerie Bistany (Director of the Irish Writers’ Centre), the panel, comprised of Noelle Campbell Sharpe (of Cill Rialaig Artists’ Retreat), Audrey Keane (of the Arts Council of Ireland), Kate Kennelly (Arts Officer, Kerry Co Council) and Noel O’Regan (former Kerry County Council Writer-in-Residence), discussed the more practical aspects of being a writer, with specific reference to funding and marketing. 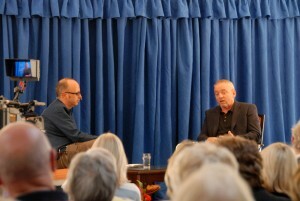 So far, so good – but what about my quest to read at Listowel Writer’s Week, after all? As it turns out, on both Friday and Saturday night, The New Writers’ Salon, curated by Kerry Co Council’s former Writer in Residence, Noel O’Regan, provided the very opportunity. Taking place at the excellent Scribes’ Café, owned and run by the very hospitable Mr Namir Karim from Iraq, the event presented readings from a line up of invited emerging writers: Sally Rooney, Michael Naghten Shanks, Hugh Fulham-McQuillan, Roisin Kelly followed an open mic session, which on Saturday night – among others – featured slam poetry from Stephen Murphy, a passionate reading from White Feathers by author Susan Lanigan, and yes – a brief section from Waiting for the Rain by yours truly. And that was a very long sentence. Time perhaps to wrap it up.